How to Choose a Better Copper Cable Granulator _ PCB recycling machine,cable wire recycling machine,E-waste recycling plant,precious metal refining machine system,E-waste shredder,plastic and metal recycling production line,copper electrolysis system-Zhengzhou Zhengyang Machinery Equipment Co.,Ltd. It is well known that copper cable granulator belongs to a state-of-the-art technology, for the waste cable can be changed into pure copper granules and plastic granules after a series of processing procedures. 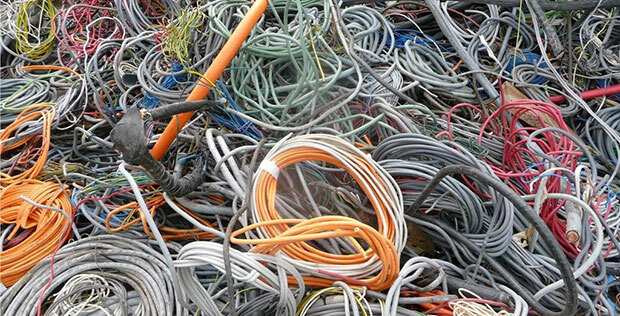 However, it is a fact that many copper cable granulators in the market are unqualified, and the copper recycled by them can not be used as refined copper directly. Low copper purity, high residual copper content in the waste plastics and environment pollution are quite common, which reduce the production effectiveness of the copper recycling. Then, how do we find a qualified copper wire granulator? Well, the key indicators of measuring copper cable granulator are: the copper purity, the residual copper content in the plastic leather, power consumption, environmental protection, as well as production costs. Considering the above indicators, it won’t be hard for you to find out that the best way of choosing a better copper cable granulator is to test the granulator. First, you should bring the testing scrap copper and observe the copper purity and the copper content in the plastic granules. Of course, better Cable Wire Recycling Machine means higher copper purity and lower copper content in the plastic granulates. Second, you should check the machine itself. A qualified machine can operate a long period. The welding technique and material thickness are two important referential factors. Third, you should calculate the energy consumption. A good copper cable granulator is of low energy consumption and low noise. I’m glad you mentioned to measure the copper purity and environmental protection to find the best copper cable granulator. The environmental protection aspect would be important for me because I am trying to reduce my effect on the environment as much as possible. If there was a granulator that was much more eco-friendly, I would definitely want to go with that as my option! Thanks for the advice.